Call 601.362.6121 ext. 16 or e-mail [e-mail missing] to sponsor or arrange for donation pickup. On July 24 and 25, 2009, the Jackson Free Press will hold its 5th Annual Chick Ball to raise money for the city's first domestic abuser intervention program. This year's event again will be held at the Red Room at Hal and Mal's restaurant and brewery at 200 S. Commerce Street in downtown Jackson. Proceeds go directly to the Center for Violence Prevention, which offers services and support for families in a domestic violence situation in the Jackson metro area and surrounding communities. The Center has a 24-hour crisis and referral line to assist with immediate needs and trained personnel to provide wide range of references and resources. The 2009 Chick Ball events begin with a one-woman play and singer-songwriter showcase on Friday night. The play, "The Scutley Papers," written by Jamie Wax and directed by Diana Howell of the Fondren Theatre Workshop, chronicles one woman's experience in an abusive relationship and her ultimate emergence as a writer. The essence of the play, shared in a self-reflective manner, is a view into the struggle to find the courage to leave an abusive relationship. The doors open at 6:30 p.m. with the show starting at 7 p.m.
On Saturday night beginning at 6 p.m., the Chick Ball will celebrate the triumphs of the domestic violence survivors, as well as the creative talents of women artists and musicians. The events features a full line-up of female musicians and spoken-word artists, and ends with a DJ. Attendees can play games for prizes, including participate in "Pick-up Chicks" and "Pro-Chick Runway," as well as complete for blingiest outfits. A silent auction of art and gifts will help raise funds. Tickets prices are $15 for the Friday night play and singer/songwriter showcase, and $5 Chick Ball admission. Tickets for door prizes donated by local merchants are $5 each. You can buy a ticket for the entire weekend, which includes two door prize tickets, for $25 at the door or in advance by credit card at this Brown Paper Tickets link. Sponsorships are still available, and we can accept art and prize donations up until July 24. 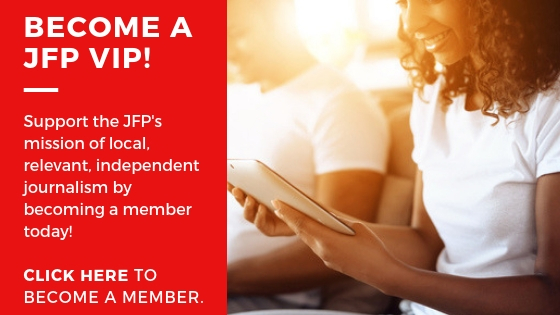 However, donations received by July 15 will be photographed and/or listed in the big JFP Chick Issue shopping guide on July 22. NTCA - National Tile Contractors Assoc. A HUGE THANKS to our generous silent auction donors and food donations. Donna Ladd, Shut Up and Write! Broadstreet Bakery, Sal & Mookie's and BRAVO! 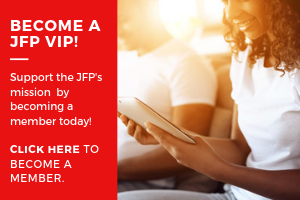 Buy your annual JFP Chick Ball membership card here: gets you into ALL JFP Chick Ball weekend events, July 24 and 25, two prize raffles, plus year-round discounts to JFP and Chick events. Click here to purchase right now. It all goes to the cause! What a *great* Chick Ball. Thanks to the hundreds of attendees, artists, businesses, restaurateurs and others who made this the biggest on, yet. Also, a shout-out to the media outlets that joined the cause and covered the event and helped raise money to fund the Duluth Model in Jackson: WLBT, WAPT, MPB Mississippi Edition (plus Web chat), Mississippi Happening on WLEZ, WJSU, WLOX on Coast (picking up WLBT story) ... am I missing anyone? As for on-site coverage, WLBT was the standout, showing up both Friday and Saturday nights, and airing this story last night about the Chick Ball and the cause. And they did a different piece Friday to get people there Saturday. Yay, WLBT! Amen--that was a great party!